British Prime Minister May warns Critics and Says Brexit is at Stake. 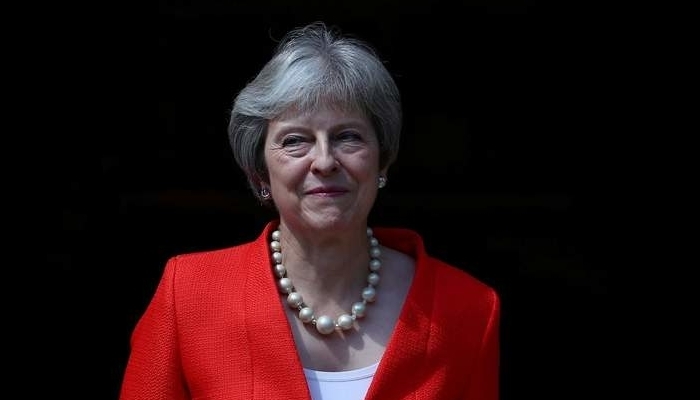 British Prime Minister Theresa May has warned critics within her party that a boycott of her Brexit strategy may jeopardise the planned UK exit from the European Union. “We have to keep the goal in mind. Otherwise, we run the risk of being left behind with no Brexit at all”, writes May in guest participation in the newspaper Mail on Sunday. The Prime Minister states she is conscious of the concerns of various party members about her course, but that she has not yet heard any practical alternatives. That is why she thinks it is necessary to be realistic and pragmatic and to support her Brexit strategy. In her guest contribution in the Sunday newspaper, May writes that she has a steel-hard bargaining position in the talks with Brussels. Almost nine months before the exit from the European Union on 29 March 2019, the May government is encountering a deep crisis. The Brexit hardliners in May’s party oppose the new course of the prime minister. Brexit Minister David Davis and the Minister of Foreign Affairs, Boris Johnson, stepped up because of the new strategy. Thursday, May presented her plans for the Brexit in a document. This states, among other things that free movement of persons remains partly possible. She also proposed that the United Kingdom agreed on standards for food and other goods with the EU. There must also be a customs agreement in which the United Kingdom will collect both British and European tariffs. With her plans, Theresa May seems to focus primarily on a soft Brexit.